In case of any issue is there a way to restore the original firmware ? 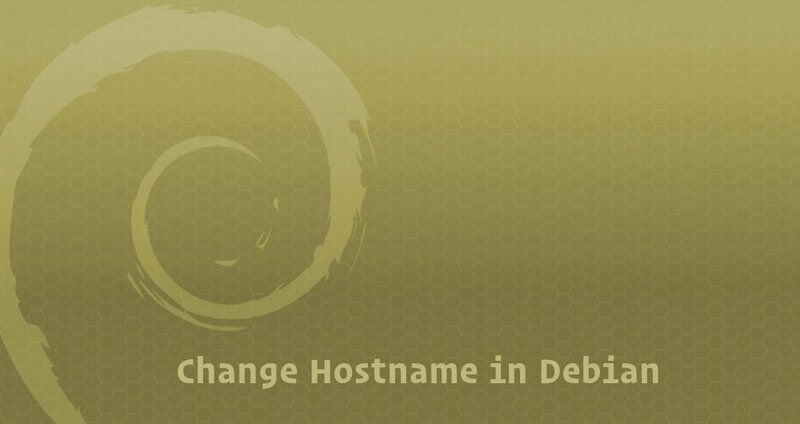 This tutorial will guide you through the process of changing a hostname on a Debian 9 without the need of restarting your system. That was a bad idea; when i try to log in with ssh i get a “Permission denied, please try again.” when i put in my password. I searched here but found a dead link, and no idea how to fix it. preferably without opening the case to extract the harddrive. also what would be the right way of changinge the hostname from “wdmc” without loosing ssh ??? Forget what i wrote !!! with the update the ssh config has changed, new rules do not allow for login with user root. tried two different usb 2.0 sticks, i only get a yellow light instead of the blue one when i swticht my cloud gen 2 on, but it seems to boot the system from harddrive. No telnet, still ssh with permission denied. @cloudmaniac, yes. Using alternative firmware you loose all WD functional, but get access to almost all Linux software (OwnCloud, SyncThing, GSync, OneDriveSync and many other “Cloud” stuff). I just get an old WD MyCloud Ex2 for free. I have the newest Firmware. I wanted to install Debian and OMV but i get the Purple LEDs. I downloaded the file for My Cloud Mirror Gen1 and Install the “debian-jessie-firmware-test” via the webgui. (via Manual Firmware upload?!?). After Reboot i get the Purple LEDs. Du i have to push the reset button while reboot? Or do i have to push it anyway? @Fox_exe Could you please make the new kernel for the EX2 Ultra with BTRFS Support? I don’t find any kernel that support is…not the 4.14, 4.15, neither the 3.10. That would be really fantastic! I have a problem with step 2 (After reboot - device get new IP address, find it and connect via Telnet) on My Cloud EX2 Ultra. After flashing bin file I have waited few minutes but couldn’t get an IP, so I have turned it off and on. Right now my device is blinking Blue led, HDD leds are off and fan is working very loudly. Maybe it’s a problem with subnet? My network is on 192.168.1.0/24. Any clues how can I get this to work? as I’m stuck a bit right now, and not really sure what should I do/check.